I am curious where you get my name.....hehe! I am so sad......i did'nt attend fanmeet... really no fate! Merry Merry Christmas again to all! hahahaha i am lovelyn from minozindo and i ever chatted with you in chatroll, did u forget it? Oops! its same post as alovebof? Mino prepared a Christmans card and a greeting card on his own!!! 크리스마스를 기념하여 Staff diary에서 준비한 깜짝 이벤트! 크리스마스 카드와 새해 카드를 보내드립니다~! In celebration of Christmas, Staff diary is holding a surprise event! From December 25th to 27th, leave a message on Minoz Talk board. We will select 4, and send them a Christmas card and greeting one which Minho prepared TODAY on his own! Merry Christmas all minoz Hoho. have someone can translate ? I try translate.....have even BOF finally on 24 or 25 .04.2010 at Yokohama right ? 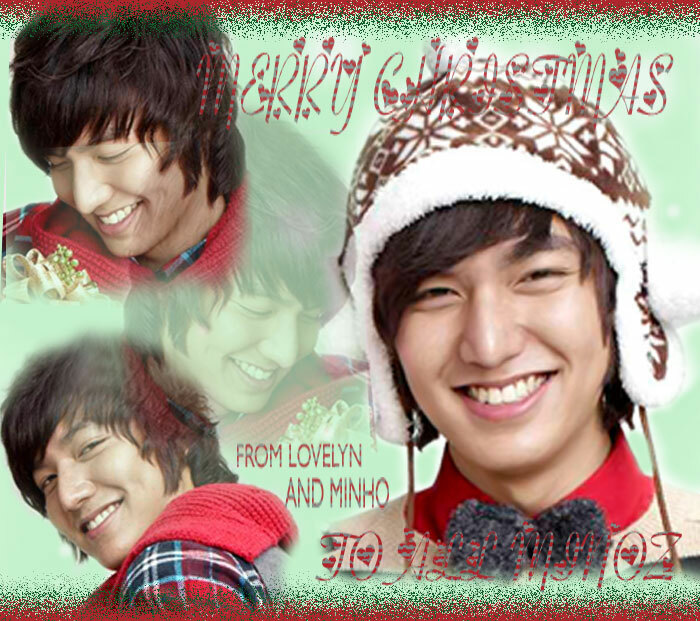 Merry Christmas to all Minoz! Am usually just lurking at the background feeding off contributions from you all so here’s a small contribution on my part. Thanks meow13 for the video! Disclaimer: the interviewer's japanese is too fast for me to catch at some parts so I'm just summarise her questions instead of translating word by word. Interviewer: Could you please show what you have written to everyone. Please show it to the camera. Interviewer: So no. 1 is about work and no. 2 is about private life. Please present them. LMH: No. 1, the memory that I have is that my fans have increased because of “Boys over Flower”. In particular, my fans in Asia (outside Korea) have increased. This is the first memory that I recall. The next memory is that I bought a car for my mother as a present. Because I have never given her any present before, I have wanted to do something filial. As this is my first present to her, I cannot forget this memory. LMH: I thought the words will appear neater.... hence I wrote them smaller. Interviewer: This year, there are more fans due to your role in BOF. Deep down, is there any change in your feelings? LMH: Regardless of whatever work, there is a sense of responsibility. The biggest change will have to be this sense of responsibility that I’m feeling now. Interviewer: You wrote that in your private life, you gave a car to your mother. What was your mother’s expression on receiving the gift? LMH: She cried because she was happy. Seeing her cry, I also felt emotional. Interviewer: I heard that you like surprise event. When you gave your mother the present, did you prepare any surprises? LMH: I did not prepare any surprise. If I choose a present myself and the other party does not like it, I will be in a fix. I gave the car that my mother chose. However, within 1 week, the car was damaged. I was shocked. Interviewer: Did you mother caused the damage? 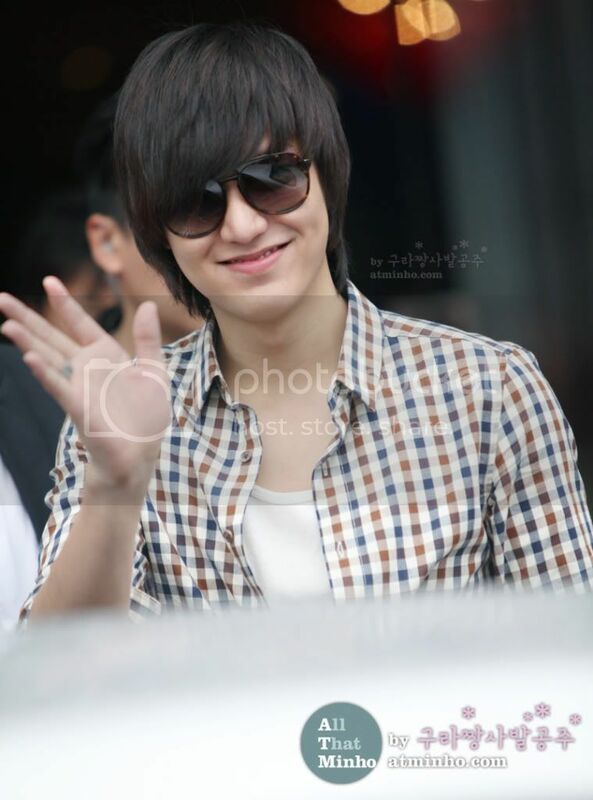 LMH: Shameful to say... my mother and sister each took their own car and while they were driving off, my sister’s car scraped against my mother’s car. This car-bumping among family members happened in our apartment’s car park. What more, this happened before my very own eyes. Interviewer: This is a very interesting episode! LMH: And just so happened, my manager came to fetch me and saw the incident. He said with a very shocked look “bumped”. Interviewer: However your filial piety is not damaged by this. Interviewer: Thank you for sharing your memories with us. Hi alovebof, you are right. There's BOF event at Yokohama on 25 April 2010 (again?!). Anyway, Gu Hye Sun, Lee Minho, Kim Bum, Kim Jun and T-Max will attend. Kim Hyun Joong cannot attend due to his busy schedule. Sales of ticket from Dec 24, 5pm. Transfer of money from Dec 25. For those who paid from Dec 25 to 30, there will be a draw to determind their seats and the seats will be in front. Second sale of tickets will start from Jan 7, 2010. Hi yumeaki Thank a lot. There's BOF event at Yokohama on 25 April 2010 (again?!). Anyway, Gu Hye Sun, Lee Minho, Kim Bum, Kim Jun and T-Max will attend. Kim Hyun Joong cannot attend due to his busy schedule. Sales of ticket from Dec 24, 5pm. Transfer of money from Dec 25. For those who paid from Dec 25 to 30, there will be a draw to determind their seats and the seats will be in front. Second sale of tickets will start from Jan 7, 2010. Is it true that will be an BOF event in April 2010? I will be so happy if it's true. I really miss them together. Unfortunately that KHJ wouldnt be there. I don't know exactly how to express the part in Englsh. "Your words are mounting/ascending toward the right/ Your words are inclining to one side." About 1,800fans shelled out between S$98 and S$188 to meet Korean star Lee Min Ho at The Max Pavilion @ Singapore Expo on Monday. But a few lucky ones got into the event even though they were not willing to pay a premium to meet him. "It's too expensive," says Eraferah Obrero,14. The Bartley Seconday student, however, spent five hours waiting at the Fairmont Singapore to catch a glimpse of the actor, who shot to fame in the Korean drama Boys Over Flowers. 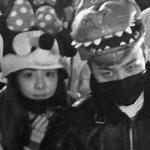 Once he left the hotel, she hopped into a cab with other fans and followed his car to the performance venue. She waited hopefully at the Expo until 8.30pm, when a fan gave her a ticket for free. She was one of six teenagers Life! spoke to who got into the venue for free after receiving complimentary tickets from kind-hearted fans who had extras. While ecstatic over her luck at getting to see the star on stage, she is adamant that she will pay to meet him at future events only if the price is low enough. "About S$50 or $60 is okay," she says. For students like her, who make up a large proportion of the 22-year-old Korena actor's fan base, price is a big issue when it comes to seeing their idol live. While organisers Unusual Entertainment sold 80 percent of the tickets for Monday's event, it was apparent that it was mostly the seats costing S$98 and $148 that was filled at the beginning of the evening. Unusual declined to reveal actual sales proportion. The minute the house lights dimmed, many people seated farther back rushed to the front to take the empty places. In the 90minutes that followed, Lee answered a few questions from the floor through a translator, and tried out a few greetings in English and Mandarin. A few fans chosen by lucky draw went up on stage with him. He hugged them, took photographs and played games with them, and even fed a few by hand. About 30fans received this personalised attention, while the hundreds of others on the floor watched, mesmerised. Life! spoke to 20 of the fans and none of them was disappointed with the evening. Madam Hindon Noordin, 47, who bought the cheapest $98 seat, even wishes she had gone for the most expensive ticket to see the actor clearly. "It was worth it. I laughed all the way," says the clerk who goes online daily to check out Lee's photos and news. The actor has won hearts here since Boys Over Flowers was first aired on Channel U earlier this year. His October visit to Singapore to promote a Korean cosmetics brand drew nearly 1,000people to its store at Plaza Singapura, causing fears for his safety and a cancellation of his visit there. It is no wonder that he was chosen as the draw for Singapore's first ticketed fan meeting. Such events are popular in Japan and Korea, but are raising eyebrows among concert promoters here. Mr Ngiam Kwang Hwa, chairman of Rock Records Singapore, which brought in Taiwan band Mayday earlier this year, says pay-to-meet-the-stars-sessions are "mainly for Korean artistes". "For Chinese artistes i do not see such a trend." The issue at stake, however, appears to be setting the right price. "For customers to pay a price to enter the venue, we should provide them with a worthwhile performance. Die-hard fans will pay alot for a handshake or a photo, but this is a small group compared to the potential audience the act can attract." Tickets for the two-night Mayday gig in August cost between S$88 and $178 and drew 14,000 people, nearly 10times the number at Lee's fans meeting. Ms Samantha Chan of Red Spade Entertainment agrees. She brought in top Korean pop acts such as T-Max, The Brown-Eyes Girls and FT Island for a Fort Canning gig that drew 7,000 people. Tickets for the four-hour show cost between $65 and $100. "We will not fly in someone just to do a meet-and-greet. We will do such session, but it will always tied to a performance," she says, adding that the sessions should be kept free and open to only select fans. Free sessions, or at least far cheaper ones, will appeal to cash-strapped fans such as Yeo Yuan Ning, 15, who was at The Max Pavilion on Monday. She bought a S$188 ticket at a third of the price from a friend who could not make it at the last minute. Otherwise, she would have had second thoughts about even spending $98 for the cheapest seat. "I hope to continue to support Lee Min Ho because he is a very good actor," says the Pei Cai Secondary student. "But i think $188 is too expensive." - The star of Korean drama Boys Over Flowers goes on stage at 8.45pm and answers a few questions from the emcee. Asked to describe a memorable Christmas, he talks about one he missed because he drank too much. - On request, he sketches his ideal girl for the audience. The stick figure receives wild applause. - Questions written earlier by fans are drawn out of a box. Most ask when the actor will next star in drama. Next year, he answers. 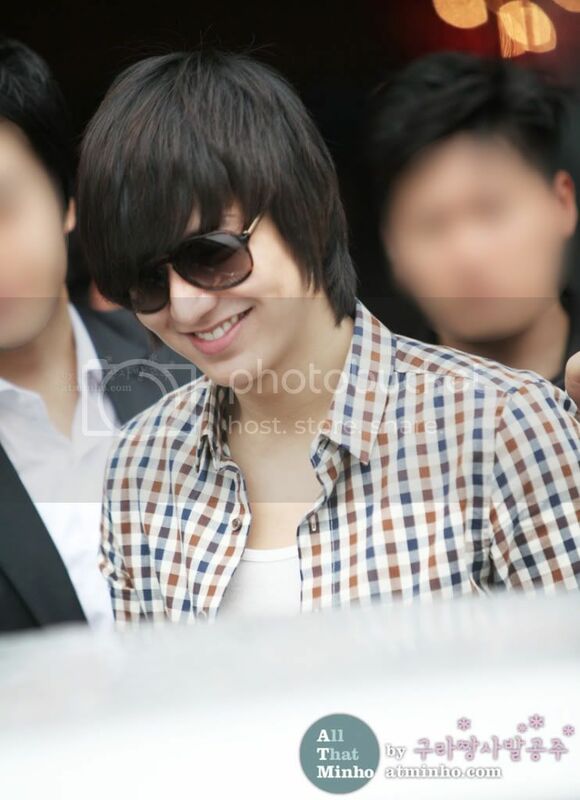 - Photos from a photobook entitled Travel with Min Ho are screened. He provides a running commentary. The S$49 book is on sale at the event. - Six fans are chosen by lucky draw to play a staring game, hug or take a polaroid shot with Lee. - Lee takes a 10-minutes break to change clothes. Scenes from his dramas and ads are screened to applause from the mostly female audience. - Another six fans picked by lucky draw get to draw pictures on stage and Lee tries to guess what they are sketching. He guesses right all six times. - Six other fans are fed Korean snacks by Lee. One returns the favour. - Photos of his childhood are screened, with comments from the star. - He is given a cellphone and calls six fans whose mobile numbers are picked by lucky draw. The come on stage, cop a hug and get T-shirts. Priced at $29, the T-shirts are also sold at the event. - The actor cuts a cake and gets the audience to sing 'We Wish You a Merry Christmas'. he follows this with a rendition of My Everything, from the Boys Over Flowers soundtrack. - Those in the audience with a card under the seat get a chance to shake hands or hug Lee. Women run from row to row feeling under chairs in their enthusiasm to snag a card. The event ends around 10.45pm. P.S. ticketed meet the fans session is so common in Japan and Korea... the high ticket price is also due to Min Ho coming down specially for the fans meet. Min Ho is not a singer, he would not be able to put up a concert like those singers-actors. Neither do i think he will want to do something like that when it is something he has not done before or when he's not trained. Actors can only meet their fans through meet-the-fans session... don't scare off actors like that! all other actors' fans are not going to be able to meet their idols if reporters and other sourgrapes put down the meet-the-fans trend. Of course, i believe they could have given discount to students when purchasing the tickets. thanks yumeaki for the translated. that's good enough as I know what's his remarkable memory in 2009.
thanks ekrkadl for clarification on that line and also the translation of staff diary. did you leave a message? hope you would win the card from MH if you did. wave to applezz, the video is really exclusive, so you gals wait for MH in the arrival terminal?! nice clip, thank you! Minho wishes you a Merry Christmas!! 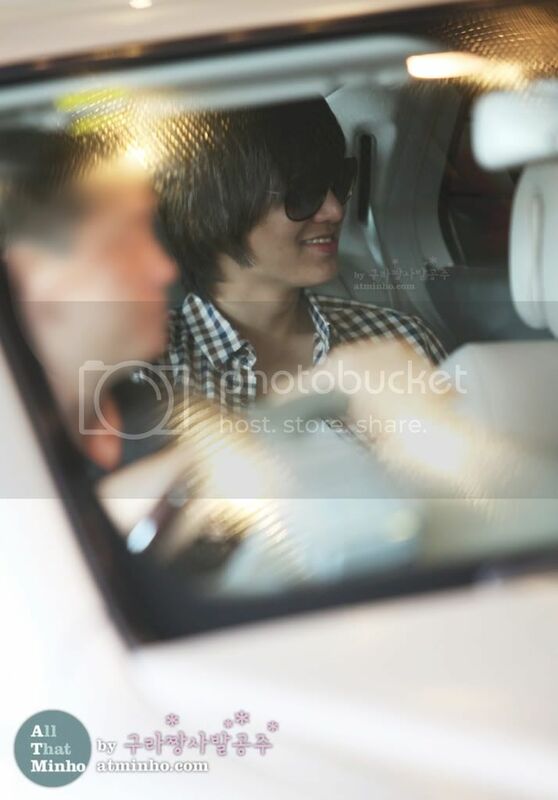 Minho very cute >< thank a lot atminho.